Ex-Buckeye Nick Swisher Is Becoming a Fan Favorite. He looks like a 30 year old league softball player from the Midwest. He has that John Kruk, Lenny Dykstra look about him. The kind of guy millions of American guys can relate to. That is part of what makes him so popular. He is Nicholas Thompson "Nick" Swisher, a 29 year old switch hitting first baseman/ outfielder for the New York Yankees. Nick was born in Columbus, Ohio and was raised in Parkersburg, West Virginia. Swisher was a superstar in Parkersburg, he played football and baseball, and was recruited by several division I-A colleges to play football including Notre Dame. He decided to try his luck at baseball, Nick did not get drafted out of high school to play in the major's so he went to college. Swisher decided to go to school in the city where he was born Columbus, Ohio. As a Buckeye Swisher was named the Big Ten Freshman of the year in 2000, he hit .299 with 10 home runs and 48 RBIs. In 2001, He hit .322 with 56 RBIs and a league leading 15 home runs, earning him All-Big 10 honors. Nick was once again named to the All-Big 10 team in 2002 after batting .348 with 10 home runs and 52 RBIs. The Oakland A's selected Swisher in the first round in 2002, after acquiring the pick from the Boston Red Sox as compensation for the loss of Johnny Damon. Nick didn't play to much after being called up from the minors, he only played in 20 games in 2004. He did have an outstanding season in 2006 with the Oakland A's, he compiled a .254 batting average with 35 homeruns and a .372 on base percentage with a .493 slugging percentage. In 2007, while splitting time in all three outfield positions and some games at first base, he hit .262 with 22 HRs and 78 RBIs with a .836 OPS. On January 3, 2008, Nick was traded to the Chicago White Sox. Swisher and the White Sox did not mesh well. Actually Swisher and manager Ozzie Guillen didn't. Nick hit just .219 with 24 home runs, the poor offensive output resulted in Guillen benching Swisher, Ozzie said publicly that "I have to put the best lineup out there to win the game. To me, the best lineup right now is without Swisher." On November 13, 2008, Nick was traded to the New York Yankees. The Yankees were going to play Nick at first base, however after the signing of Mark Teixiera, Nick was going to play in the outfield and DH. Nick got the start on April 9, 2009 against the Baltimore Orioles. He seized his opportunity and went 3 for 5 with a home run and tying his career high of five RBI. 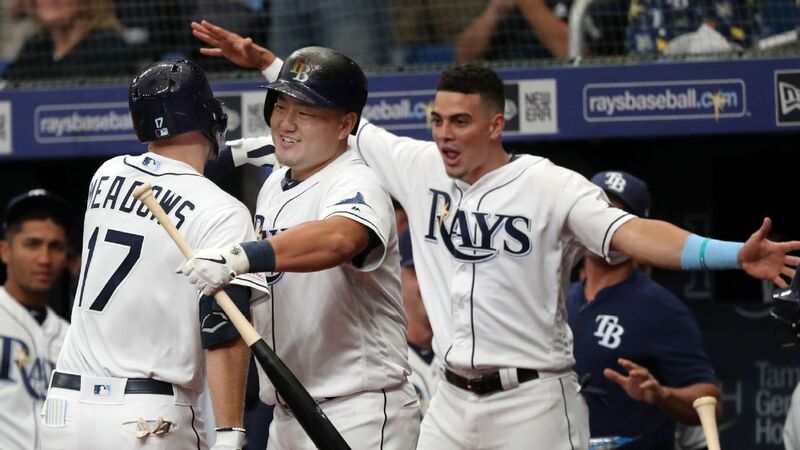 One of this season's best moments so far came on April 13, in a game against the Rays, Nick pitched one inning of relief, giving up one hit and one walk before retiring the next three batters in a row, including a strikeout of Gabe Kapler. Swisher is off to a hot start in 2009, I don't know if maybe he is just meant to play on the big stage of New York or what , Whatever it is, it is working for him, he is batting .307 with 23 hits, seven home runs, 19 RBIs with a 1.136 OPS in 21 games. I love watching players like Swisher, them guys that have tobacco spit running down their hairy chin's. Their hat's in their back pockets, playing all out all the time. Nick is just a guy's guy, I've read stories that say he is barred from clubs in Oakland for owing a huge booze bill, just all kinds of things you would expect from a ballplayer like Nick. He is Great for the game of baseball, and a great part of Buckeye Nation!